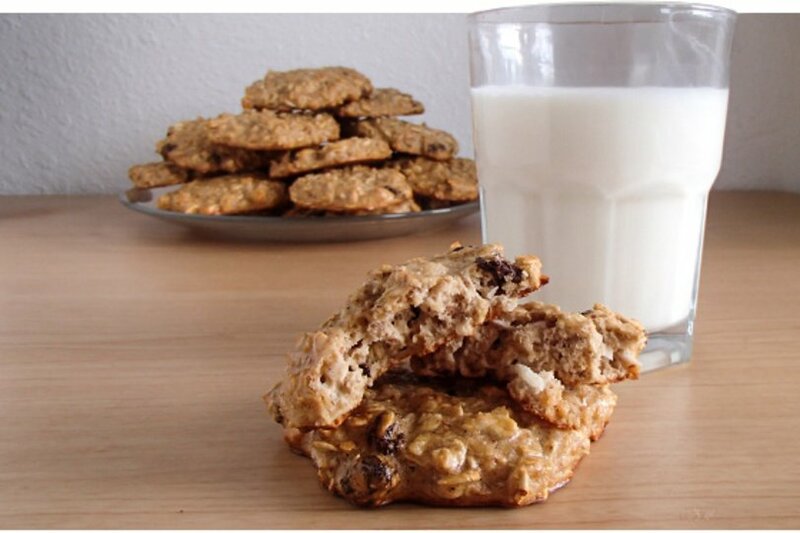 Who doesn't love a batch of warm oatmeal cookies straight from the oven? Upgrade the old family recipe of two sticks of butter and a full cup of sugar to this healthy alternative. Make the smart swap of applesauce for butter and kick this protein powerhouse of oats and egg whites up a notch with eight scoops of protein powder. Measure each cookie out to one tablespoon. This will make 48 servings.